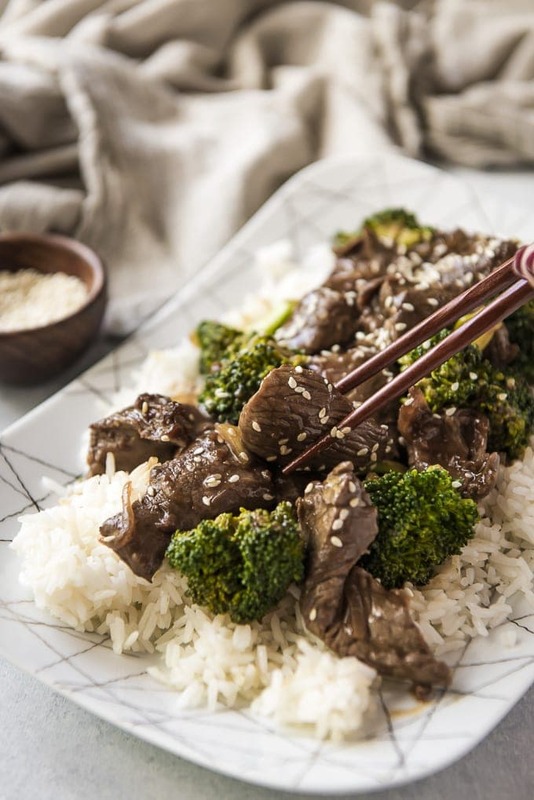 Healthy, simple, and ready in 20 minutes, Beef and Broccoli is a guaranteed dinner winner! Take out at home doesn’t get any better than this! My husband’s favorite food by far is Chinese takeout. I honestly think he could eat it every day and never get tired of it. When we hit the buffet, he gets a variety of things, but when we order out, it’s always the same menu items. Boneless Spareribs. Pork fried rice. Chicken teriyaki. Eggroll. He’s a creature of serious habit in every way, especially here. 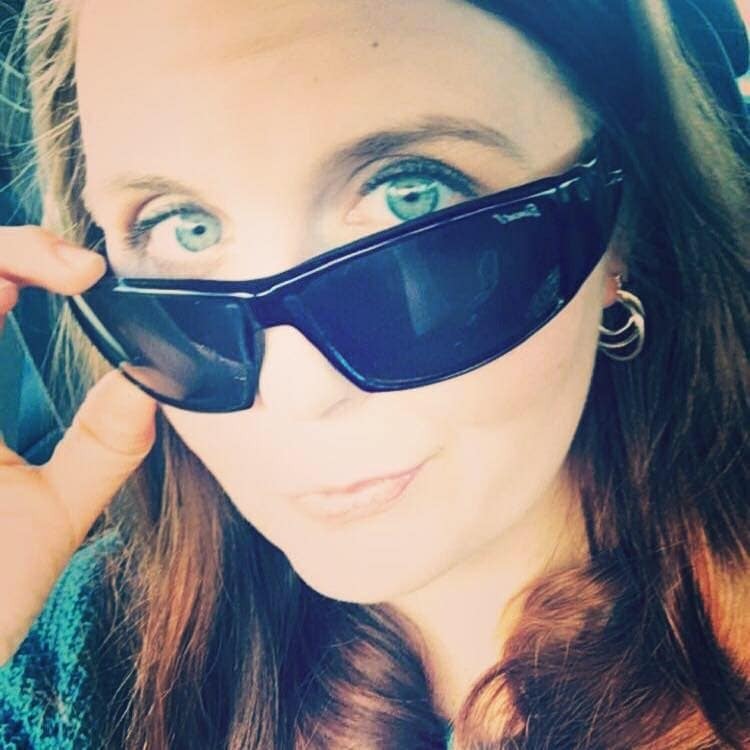 On the other hand, I like to switch it up. 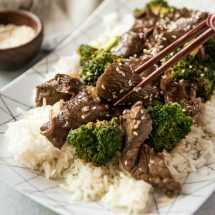 My go-to is pork lo mein and General Tso’s chicken, but beef and broccoli is definitely at the top of the list if I’m feeling like something different. 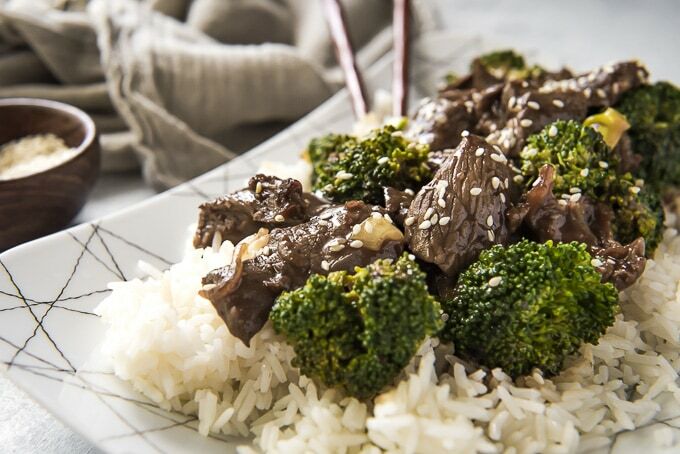 Tender beef and crunchy broccoli. That’s basically all there is to it, but then it’s tossed in a mysteriously delicious salty brown “gravy” that I could drink with a straw. The only part that requires any kind of long-term patience is the marinating of the beef – and even that’s only 30 minutes max. It’s definitely worth the wait since the results are super soft beef vs. a chewy jerky-style kind. My tip for the best al dente broccoli? Blanch it in boiling water for 1 minute, then drain it before adding it to your wok. This keeps your overall cook time down, and will also leave you with that pretty bright green veggie that’s always the first thing I grab off a plate of takeout. Whisk together marinade ingredients and add to a zipper bag or bowl with thinly sliced steak. Refrigerate for at least 30 minutes, or overnight for sure tender results. When ready to cook, heat oil in a wok and sear the beef in batches. Reserve the marinade. 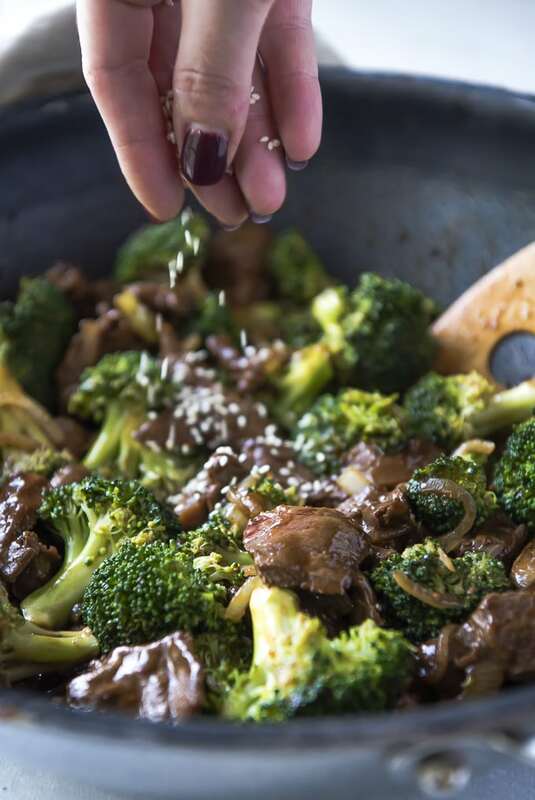 Wipe the wok down with paper towels, then stir-fry onion and broccoli until crisp-tender. Return the beef to the wok and add marinade. Cook until the sauce is thick. Serve over rice and garnish with sesame seeds, if desired. 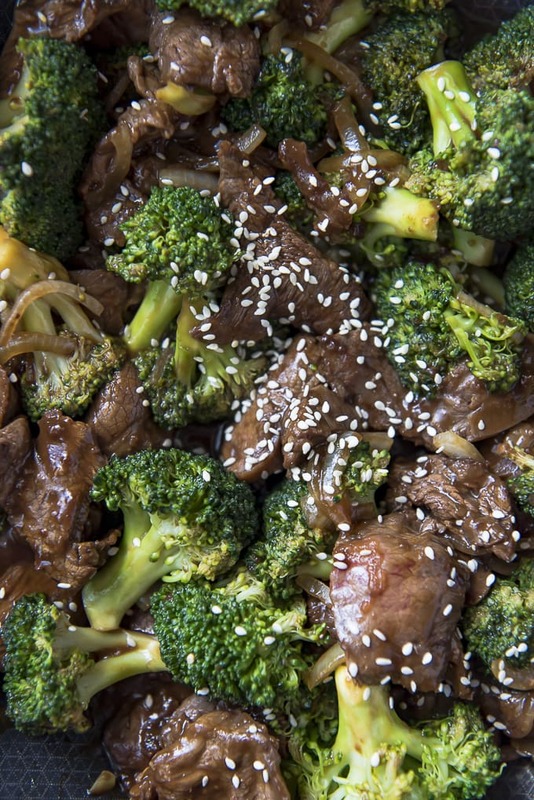 Healthy, simple, and ready in 20 minutes, Beef and Broccoli is a guaranteed dinner winner! Take out at home doesn't get any better than this! Place sliced steak in a plastic zipper bag. Set aside. In a bowl, whisk together sesame oil, broth, cornstarch, soy sauce, sugar, garlic, and ginger. Pour into the bag with the steak and massage, then zip it shut and place in the fridge. Marinate for at least 30 minutes. Meanwhile, blanch the broccoli florets in a large pot of boiling water for 1 minute, then drain through a colander. Set aside. When the beef has marinated to your liking, heat 1 tablespoon of oil in a large wok. Retaining the marinade, cook the beef in batches, searing on both sides for about 1 minute each side, until almost cooked through. Remove the beef to a plate and keep warm under foil. 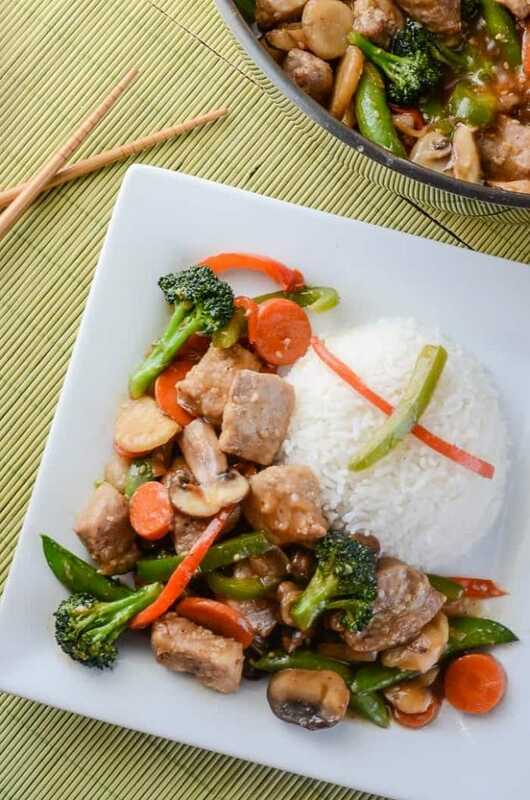 Wipe out the wok with paper towels. Heat the remaining oil in the wok. Add the onion and blanched broccoli and stir fry for 3-4 minutes until crisp-tender. 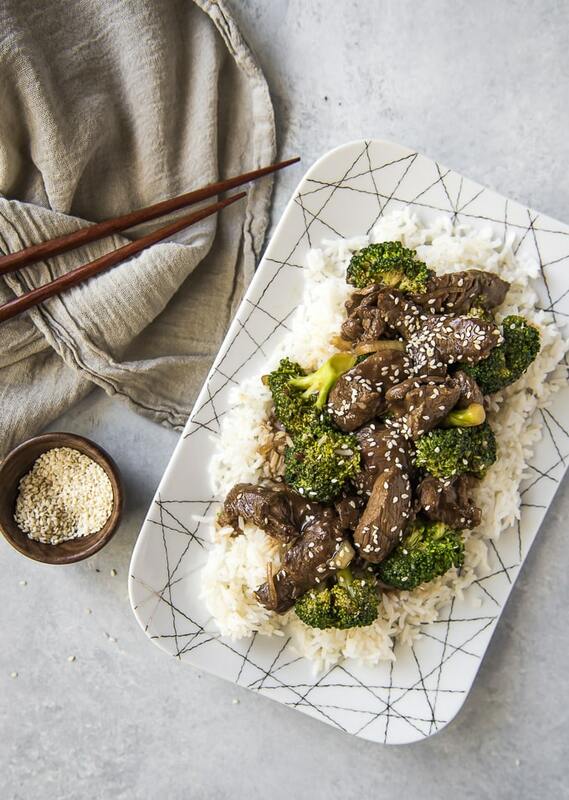 Return the beef and marinade to the wok and cook 1-2 minutes until the sauce is thick and beef is warmed through. 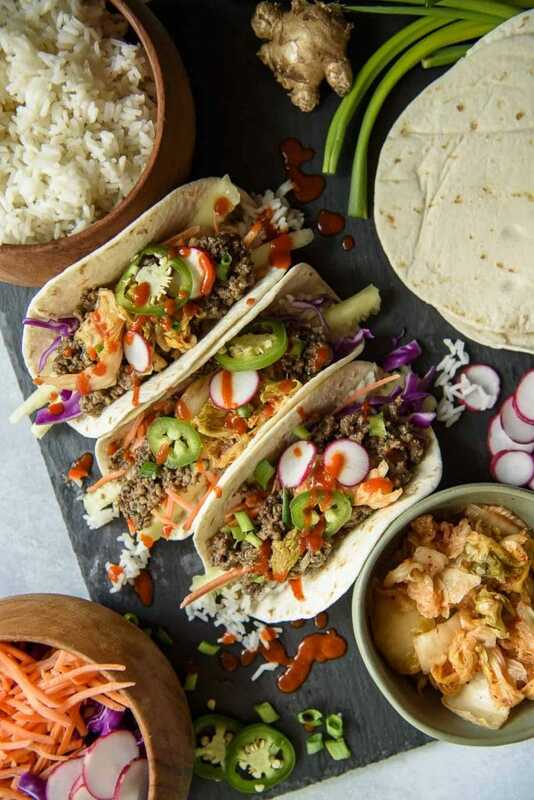 Even More Homemade Takeout Meals!